College & Research Libraries News (C&RL News) publishes articles, reports, and essays written by practitioners addressing philosophy and techniques of day-to-day management of academic library services and collections. C&RL News provides current information relating to issues, activities, and personalities of the higher education and academic and research library field. Information literacy, scholarly communication, technology, professional education, preservation, government actions that affect libraries, acquisitions, grants to libraries, product updates, and the business of the Association of College and Research Libraries (ACRL) are covered in C&RL News. Established in 1966, C&RL News is the official newsmagazine and publication of record for ACRL. It maintains a record of selected actions and policy statements of the association and publishes timely reports on the activities of ACRL and its units. It is published 11 times per year. The editor bears all responsibility for the content of each issue of C&RL News and selects material for publication. The editor also reserves the right to make appropriate revisions in material selected for publication to standardize style or improve clarity (except official ACRL documents). The editor may refer articles on high-profile topics to editorial board members with appropriate subject expertise for comment. Note: Formal, theoretical, or research-oriented articles inappropriate for C&RL News will be forwarded to the editor of College & Research Libraries for consideration. Articles on a project, program, or service dealing with a topic relevant to academic librarianship (e.g., "Developing core competencies for library staff," January 2013). Essays for "The Way I See It" that offer reasoned and informed speculation or comment on relevant topics (e.g., "Becoming a more thoughtful library job seeker," April 2013). Topics for the "Internet Resources" column. Submit a topic idea and brief information about the compiler's knowledge of the proposed topic. Compilers whose topics are selected will receive specific manuscript preparation information. Essays for "ACRL TechConnect" column that cover technology-related topics, including advances in tech tools and innovative projects to enhance libraries. Humorous essays related to issues of academic librarianship and higher education. Essays for the "Scholarly Communication" column: ACRL's Research and Scholarly Environment Committee has editorial responsibility for this column; manuscript ideas should be sent to the committee chair. Contact column editors Zach Coble and Adrian Ho at crlnscholcomm@gmail.com for more information. Standards, guidelines, or recommendations of an ACRL committee or other official ACRL group. Requests for the donation of books or materials to libraries. C&RL News may occasionally initiate requests for the donation of books or materials to libraries, especially foreign libraries, which have suffered extensive loss through fire, hurricane, or natural disaster. Other libraries soliciting contributions for other reasons will be referred to the rates for classified advertising in C&RL News. Press releases and other items for consideration in the News From the Field department may be forwarded to dfree@ala.org. C&RL News is an open access publication. All contents are freely available immediately to the public without charge. Users are allowed to read, download, copy, distribute, print, search, or link to the full text of all contents. Authors retain their copyright. C&RL News table of contents email alerts are available free of charge from ACRL. Sign up for Table of Contents Alerts through Informz. 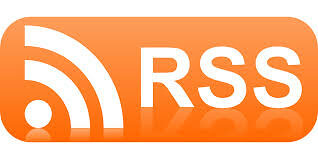 How do I subscribe to C&RL News RSS feeds?